When heading out for a day on the waves, you’re looking to leave behind stress and worries and enjoy an adventure. No one ever believes their day in the sun and wind, breathing the ocean air, will go wrong. The truth is, anything can happen at any time, and it’s far better to be well prepared . We offer a full lineup of services designed to ensure your safety on the water. Viking Life Rafts are among the highest of quality life rafts, offering the latest and most important features on the market today. The most important features in a life raft are floatation and accessibility. You want a raft that stays upright and that is able to be entered from the water. 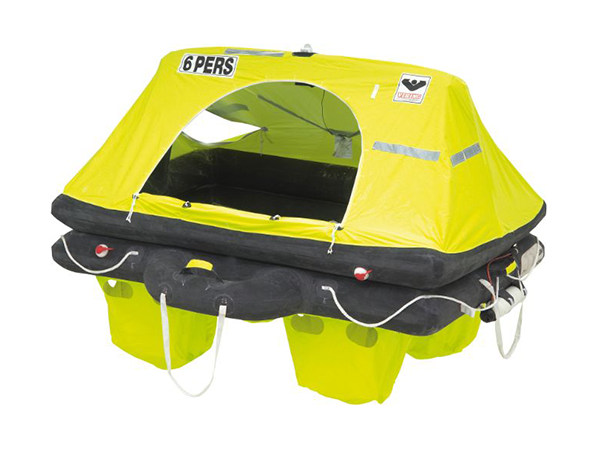 Viking Pro Life Rafts emphasizes those critical features, with automatic self-righting that guarantees upright inflation and two oversized entrances to provide easy boarding and cross ventilation. In addition to the basics, the rafts are highly visible and include a boarding ramp and ladder for easy boarding from the water. With easy access from the water and high visibility, Viking Life Rafts are designed to get you out of the water in a life-threatening situation and get you found by rescue operations as quickly as possible. 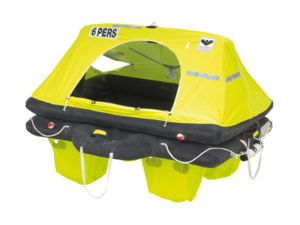 Fitted with offshore equipment packs depending upon the package chosen, and other necessary equipment, these life rafts include attention to every detail. The blue interior helps calm and sooth sea sickness as well as providing protection against hypothermia. By choosing the highest possible quality life raft, you help ensure that your passengers and crew will return home safely from every single voyage. Safety is an area in which attention to detail is critical. The high quality, low weight and compact size of the Viking life raft line makes them the best choice for your sea voyages. See our product listing for a full list of features and pricing.